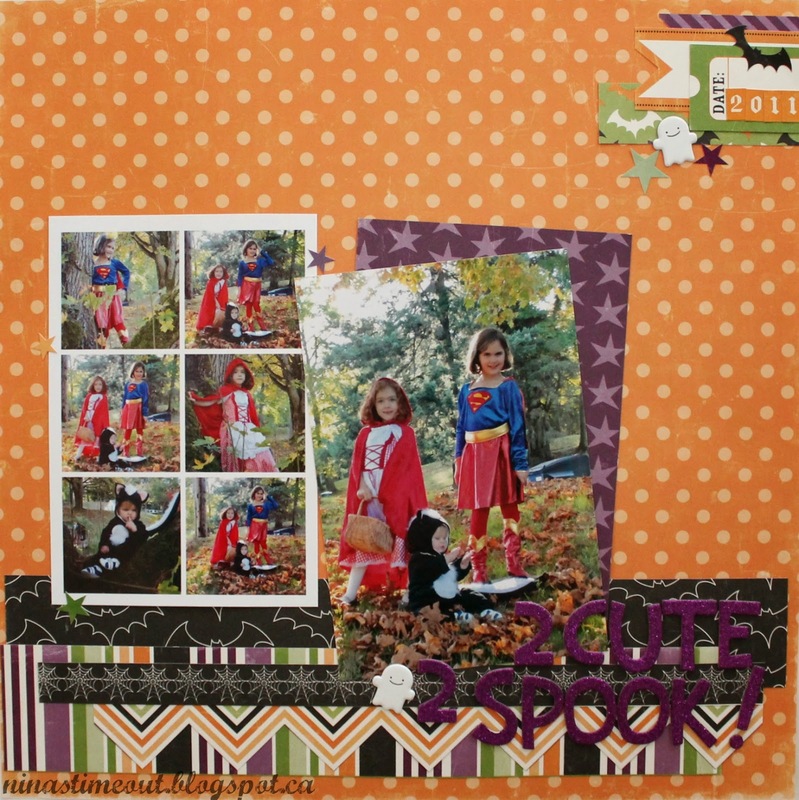 Back again with the October sketch from Canadian Scrapbooker. And it is another great sketch that was fun to use! I am also entering this one in the UmWow Studio anything goes challenge. Better late than never, right?! 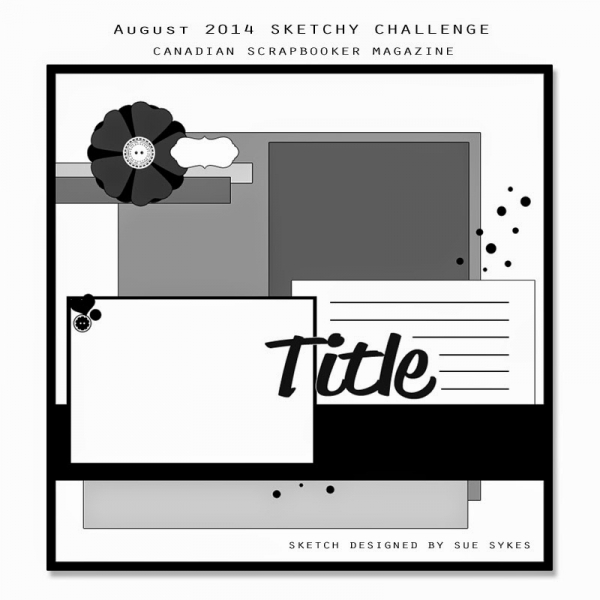 I finally got to the September sketch from Canadian Scrapbooker! And I love how it turned out! And a close up so you can see the glitter on the title! I'm really happy with how this one turned out! Such a fun sketch! 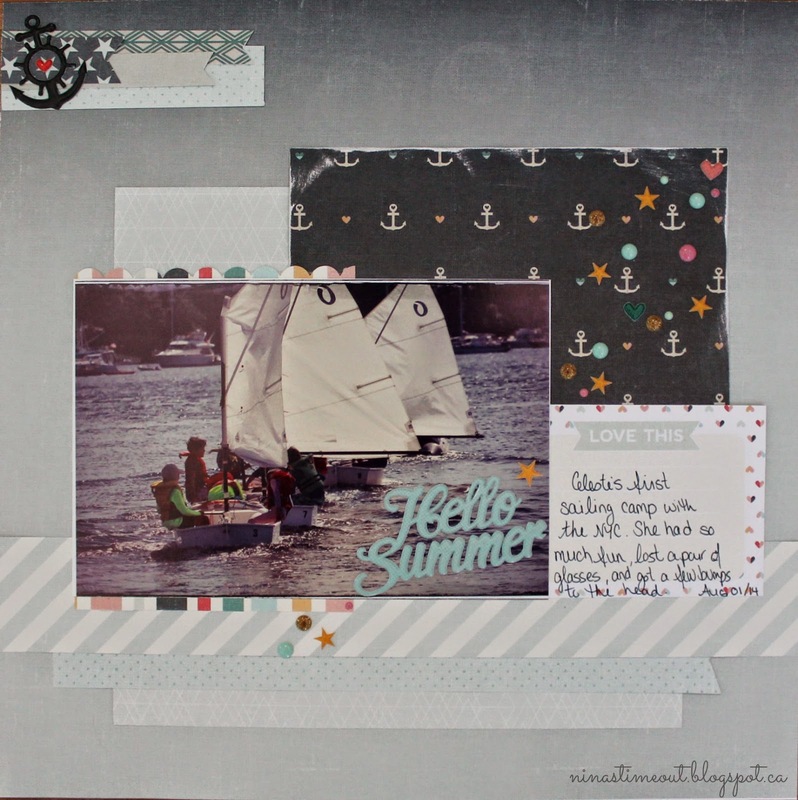 I keep saying that I am going to get back into scrapping but it just keeps on not happening. I think this time may be the time though. I did 3 layouts yesterday! 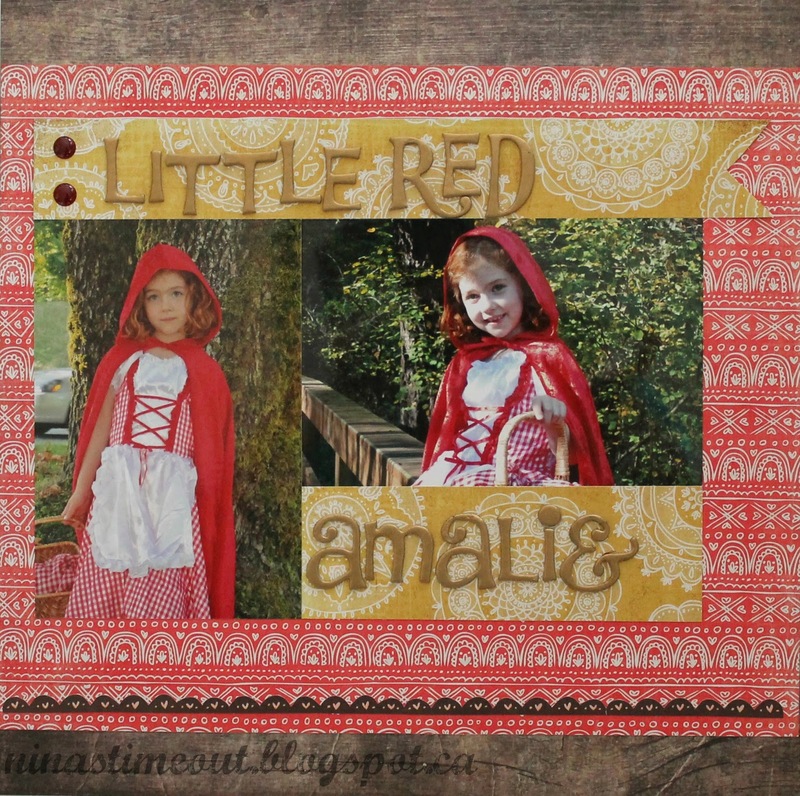 The one I am sharing today is for the Scrapbookin' Adventures facebook challenge. The new challenge is an easy one: use a fall theme. I love scrapping fall photos and I have lots of those to catch up on! I also used the sketch from their last challenge (that I didn't get done). It's pretty clean and simple, but I love the mix of patterns. But I do have a couple of things to share today. One is super exciting! 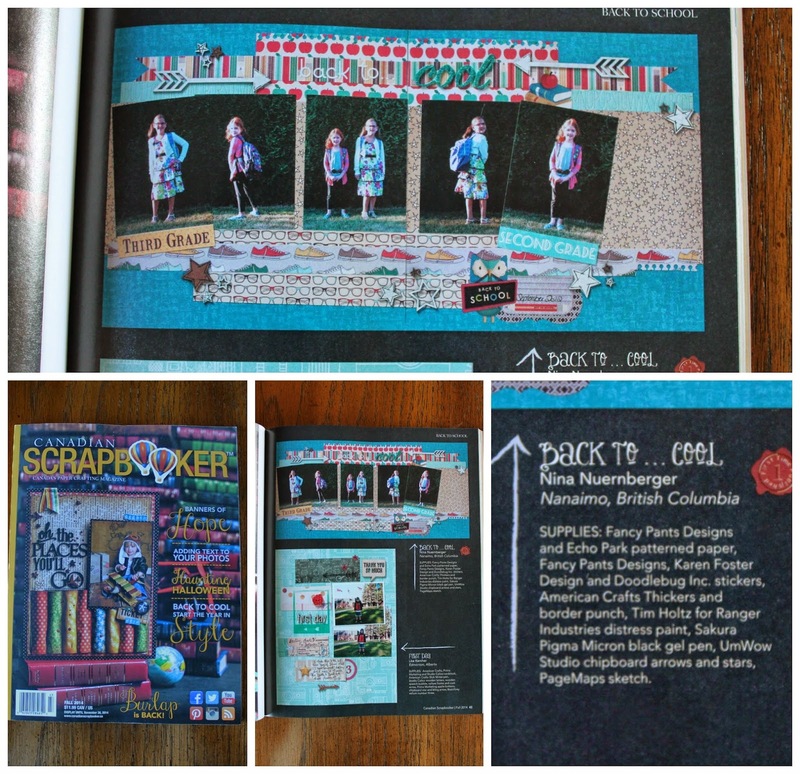 Who has picked up a copy of the fall Canadian Scrapbooker Magazine? Recognize anything in there??? That's right!!! 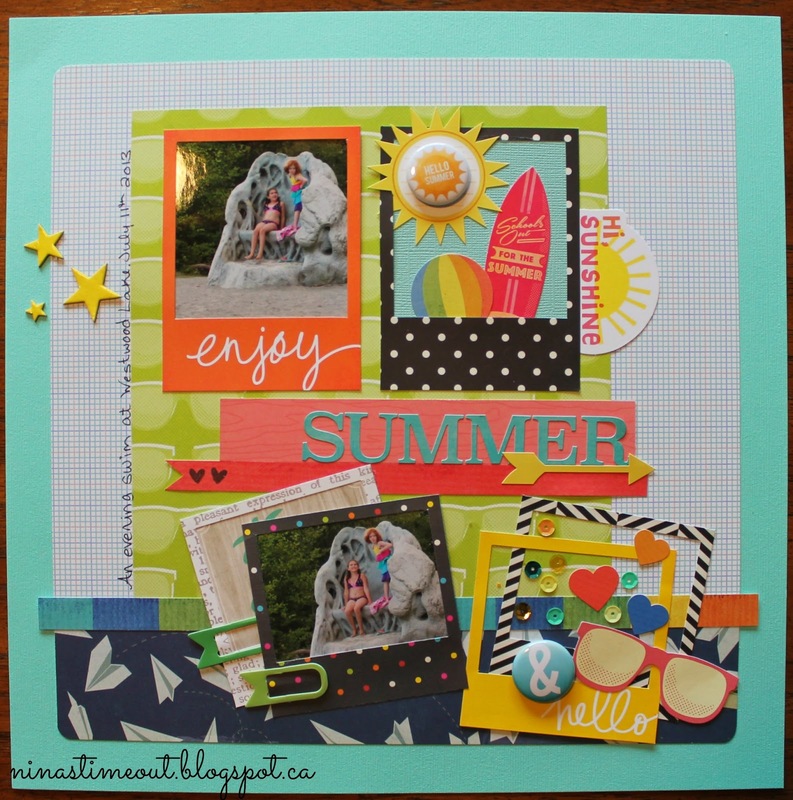 Page 45 has a back to school layout from me! Seriously SO exciting! This is (obviously) my first time being published. The second thing is a card I made with my sister for a wedding she is attending this weekend. We used a sketch from Card Maps 4. 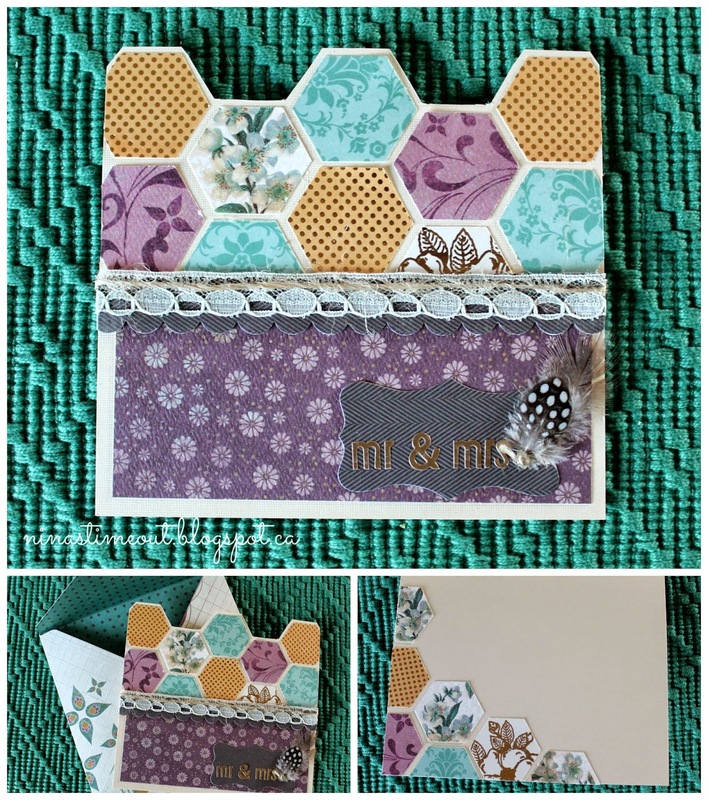 I love the hexagons and colours on this card. We even added a few on the inside. Now hopefully this dispute is settled soon and I can have my sanity and crafty time back! 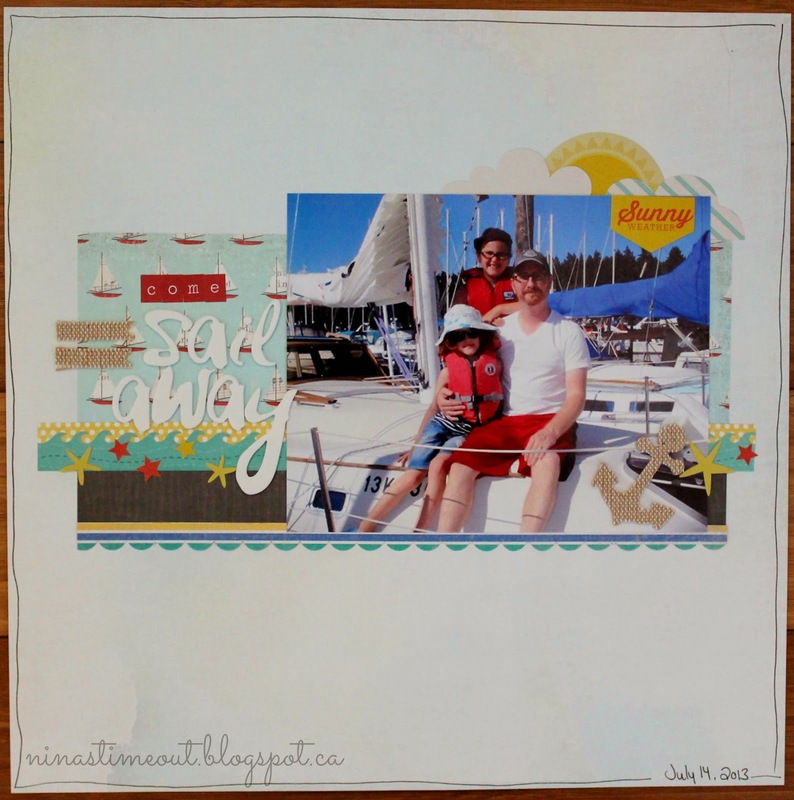 Back again with the August sketch from Canadian Scrapbooker. For this layout I did things a little differently than I normally do. I knew I really wanted to use the Solstice papers from Pink Paislee so I had to find a picture that worked with them. My eldest daughter has just finished a week of sailing camp so I looked through those photos and then added a vintage filter to it before printing. I love the title on top of the photo like that! I just wish I had started the journaling up one line. Ah well. Well I sure have not been doing as much scrapping as I would like to this summer! I'm just trying to keep up with the challenges that I like to do now. 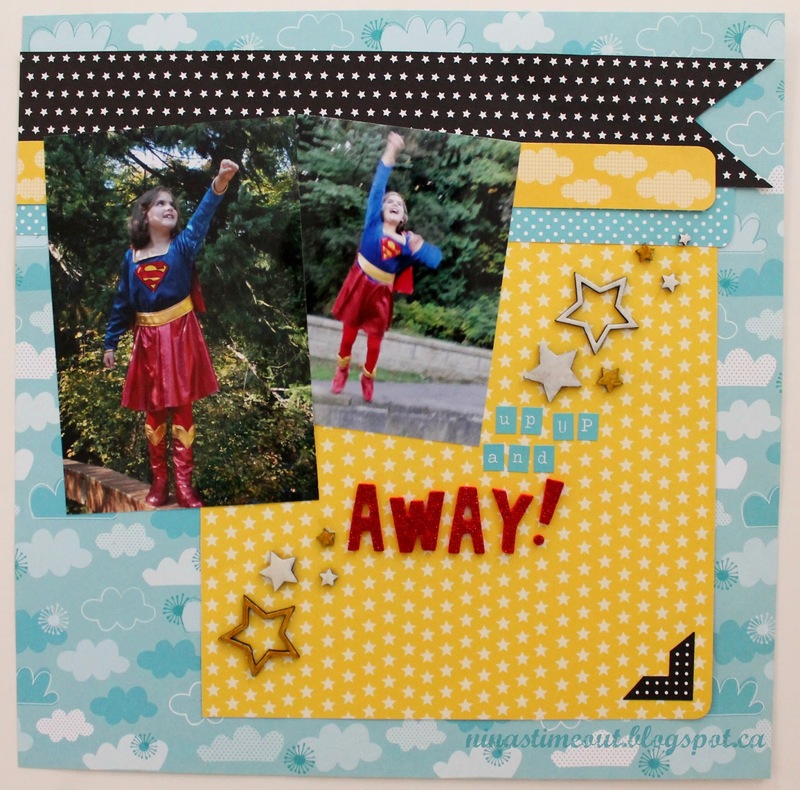 This is the most recent challenge from Scrapbookin' Adventures. This challenge was to scraplift a past challenge entry. I chose an Easter layout from the Spring themed challenge. I won't post the original here since it's not mine, but if you are curious you will find it here. It was fun to pull out a bunch of newer summer product from my stash and one of my favorite photos from last summer! I received my Summer Crop & Create Kit from Scrapbook & Cards Today, last month and I finally had a chance to sit down and make something with it! I like to use the layout sketches provided with the kit to make some quick and easy layouts. But this time I decided to switch up a few of the papers to make it more "me." I purchased the kit last summer as well and made the layouts as instructed but when I see them in my album I am not thrilled with some of the colour choices (so much red and yellow). This one was supposed to have a very red cardstock as the background and the strip of paper airplanes was supposed to be other side of the paper which was more a paper airplane blueprint. Everything else I kept the same! It really is a fun layout!